Ana Chavarin recently won $10,000 in grants through Coalition on Adult Basic Education as Adult Learner of the Year. 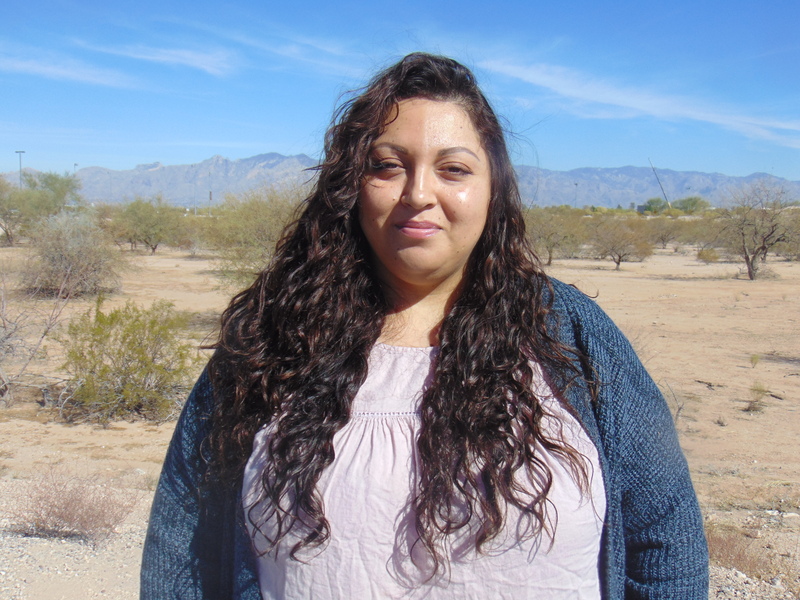 Pima Community College student Ana Chavarin won the Coalition on Adult Basic Education (COABE) Adult Learner of the Year award. Laurie Kierstead-Joseph, director of adult education services, said the award goes to someone who really exemplifies the power of adult education, and that Chavarin does. COABE said it’s purpose is to provide leadership, communication, professional development, and advocacy for adult education and literacy practitioners to advance quality services for all adult learners. It also provides recognition for excellence in adult education by providing competitive national-level awards valued at $10,000, incentive grants to encourage best practices in the field, and scholarship opportunities. Chavarin enrolled at Pima in 2012 for classes to get her GED, and is now almost finished getting her associate degree in psychology. Chavarin said she is very community-oriented and passionate about the benefits of the Adult Education program. Chavarin became involved in Student Council and became an Ambassador of Education, helping advocate the program politically. Chavarin plays a key role at the national level by providing advocacy training and adult education representation. She is not shy to stand up and speak on behalf of this program. Keirstead-Joseph said Ana has done a lot to help the adult education program in many ways. “Ana has added so much to this program as a leader, classmate and ambassador,” Keirstead-Joseph said. Chavarin said she sees it as following her heart. She goes the extra mile, and provides contact information and encouragement to new students for enrollment, financial aid or anything they need help with academically. Chavarin says Adult Education does more than give you knowledge, it changes your whole life for the better. Chavarin says it has also helped her bond closer to her kids. Chavarin says the program has very friendly staff that are student-success oriented. Chavarin says the program is flexible and has classes at different times of day, morning and night. Online courses are also available. Chavarin has also won the following awards and honors: National Coalition for Literacy / COABE Adult Learner Spotlight, National Adult Education Honor Society inductee, Pima Community College HSE Graduation Speaker, City of Tucson Certificate of Achievement & Ward V Council Office Recognition Award, Pima Community College Board of Governor’s Award of Excellence 2013, and an Arizona Association for Lifelong Learning Award.